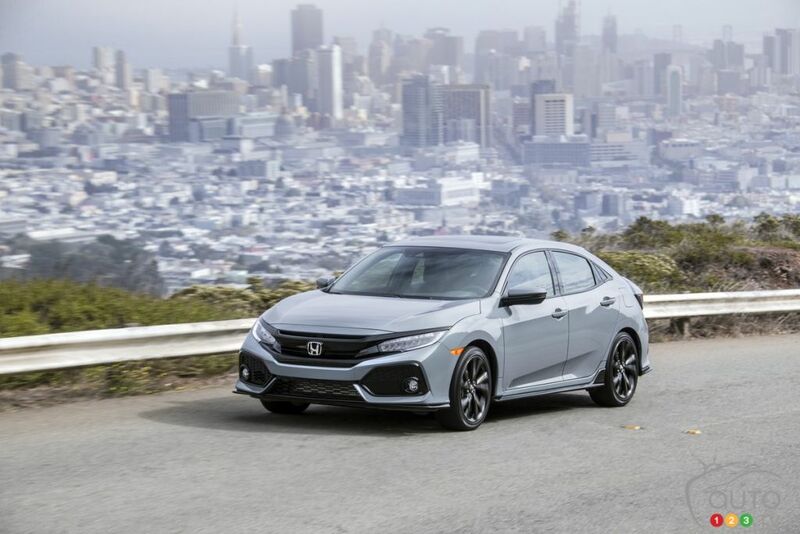 A few weeks back we presented you with the full details and Canadian pricing for the new 2019 Honda Civic sedan and coupe. 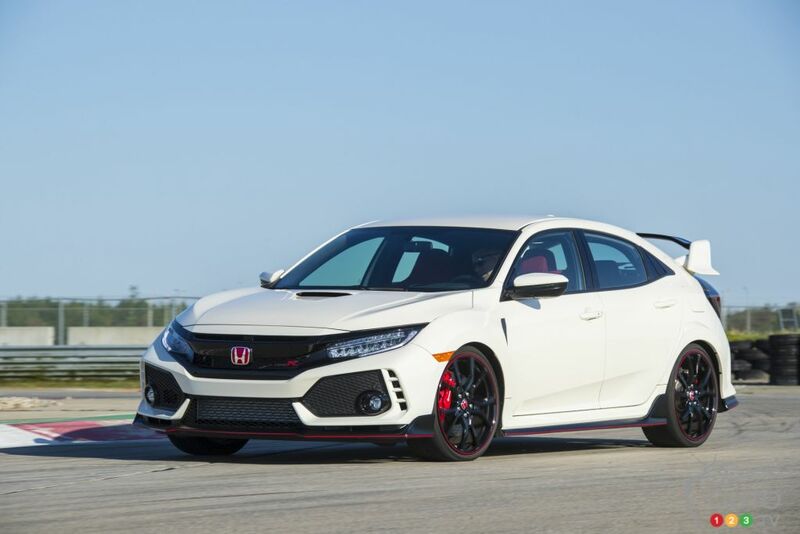 Now Honda has released details (for the U.S.) for the hatchback version as well as the sporty Civic Type R edition for the 2019 model-year. 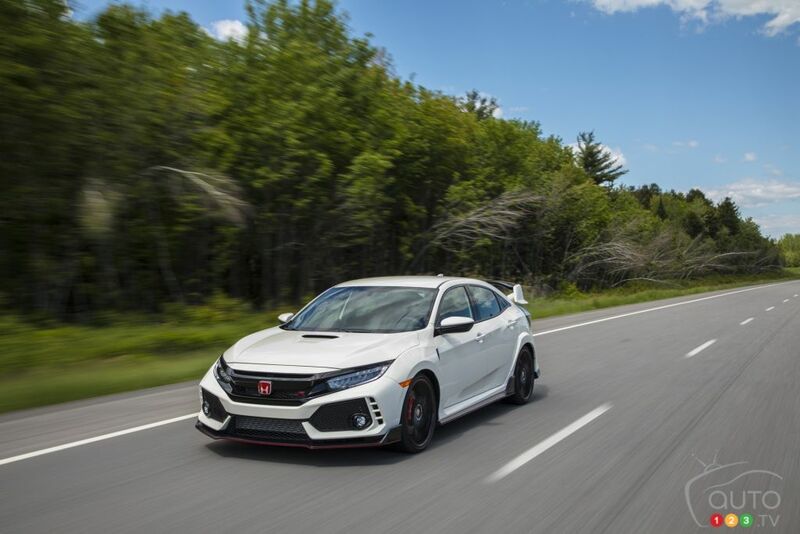 The 2019 Hatchback and Type R make like the other new Civics in receiving a new and improved display audio system featuring includes more actual buttons and a volume knob to replace the slider. The voice recognition and Bluetooth connectivity systems have also been upgraded. The steering wheel controls in both models have made easier of use, according to Honda. 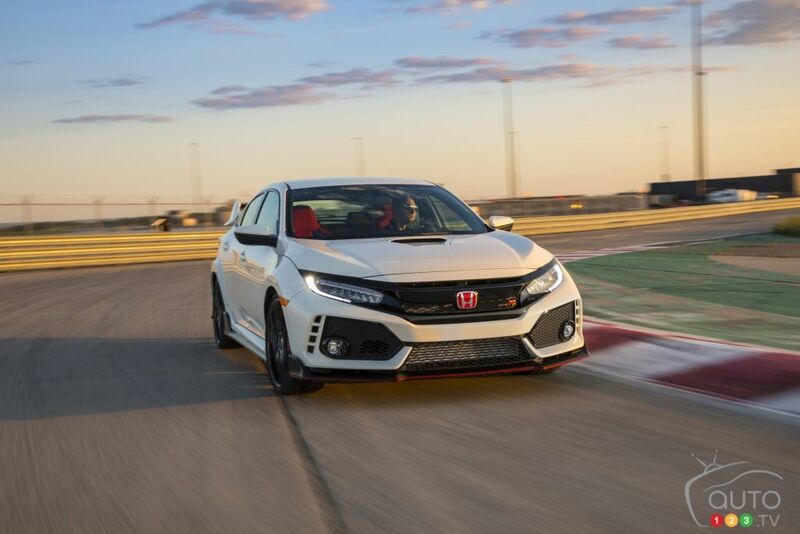 Buyers of the Civic Hatchback and Type R also now benefit from real buttons for setting fan speed in the dual-zone climate control system (on trims so equipped), as well as an indicator light for the electronic parking brake and larger cupholders. 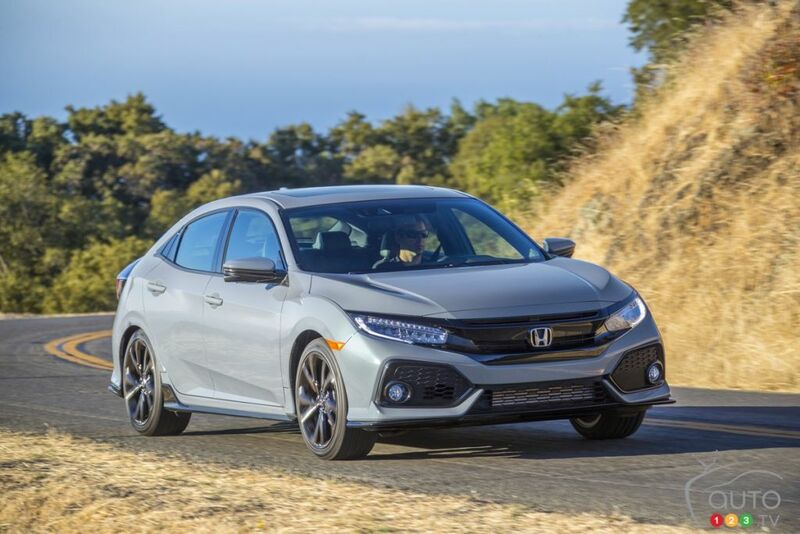 Honda is now offering its Honda Sensing package of safety systems on all trim levels of Civic Hatchback. This includes features like adaptive cruise control and emergency braking-. The Civic Type R can be had in a new exterior colour, Sonic Gray Pearl. 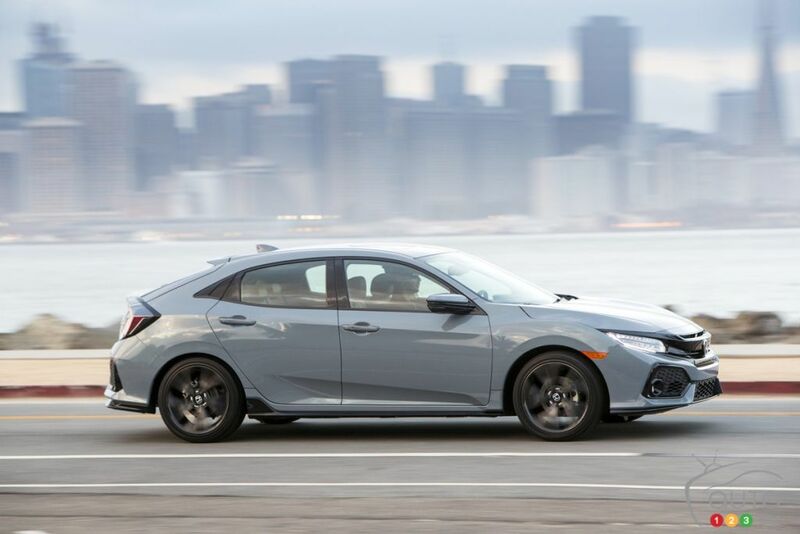 The 2019 Civic Hatchback again will be powered by a 1.5L DOHC in-line 4-cylinder turbo engine with direct injection and peak output of 174 hp. The Civic Hatchback Sport and Sport Touring trims bump peak power to 180 hp. 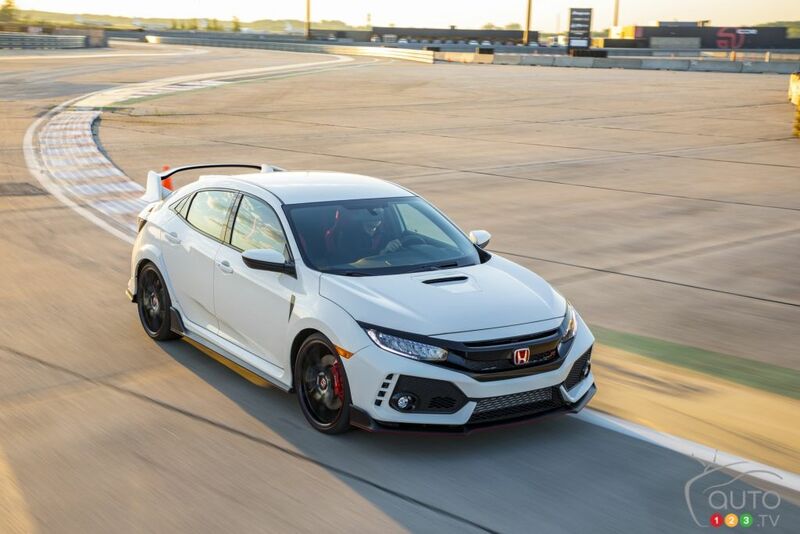 The 2019 Civic Type R runs on an exclusive 306-hp 2.0L 4-cylinder VTEC turbo engine with direct injection, wedded to a 6-speed manual transmission with automatic rev matching, as well as an adjustable suspension that includes Comfort, Sport and +R modes. As mentioned, these are details for the American version of the two 2019 Civics, so it is possible that the Canadian versions will differ slightly. We’ll also have to wait for official announcement from Honda Canada regarding the pricing in our market. Stay tuned!